If you believe that radon gas is intruding into your home, it's time to take action against it. Arizona Foundation Solutions of Arizona can help you, by providing radon testing and a quote on the cost of a radon mitigation system in your home. It's easier than ever to get your home tested for a radon problem! Arizona Foundation Solutions can perform an inspection and conduct a radon test in your home in as little as two days! To contact us, call 1-602-598-5603 or contact us online today! We serve Arizona, including Gilbert, Tempe, Kingman, Sun City, Avondale, Lake Havasu City, Yuma. Homes with crawl spaces a high risk for radon issues. As cancer-causing as tobacco smoke & asbestos, causing 15,400-21,800 deaths yearly. Low-level radon exposure over time is more harmful than short periods of high-level exposure. Radon concentrations are up to ten times higher during the winter. Arizona Foundation Solutions' radon mitigation system uses sub-slab depressurization to reduce radon levels. As a full-service radon mitigation contractor, Arizona Foundation Solutions can also install a radon mitigation system that is compatible with the current waterproofing system in your basement or crawl space. 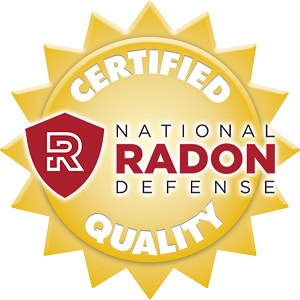 Arizona Foundation Solutions also provides multifamily radon mitigation in compliance with the HUD Radon Policy. If testing confirms radon levels above 4 picocuries (pCi/L), mitigation must be performed by a radon professional reduce the level of radon gas in the air to a safe amount.